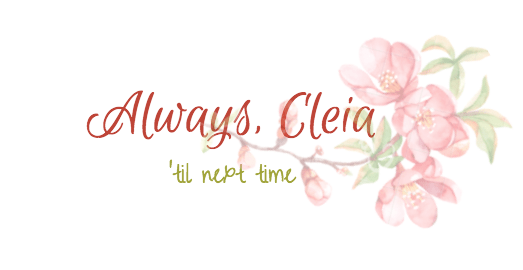 Cleia Cappuccino: Get To Know Me! Lately I’ve been diversifying my blog posts. I’ll still be posting predominately beauty related content, but I’ve been adding on a few extra lifestyle posts each month. I’m so thankful to each and everyone of you who has been supporting me in my blogging journey, you guys are amazing and make this community go ’round. Today I wanted to share a little bit about myself for those of you who are new to my blog or who would like to know a little bit more about me! My Childhood was average We weren’t poor but I wouldn’t call us wealthy either. I have fond memories of waking up early with my older brother to watch Saturday Morning Cartoons on the free TV channel because that’s all we had. We were raised to be frugal and to enjoy the things we had which is kind of lost on a lot of the current generation of kids! It baffles me how kids now grow up with cell phones and ipads. If we wanted something my parents told us to get a job and work for it which I appreciate now that I’m older. I’m a very shy person. I was never one of the “pretty popular” girls, you know how there’s these silly distinctions between kids. I also wasn’t unpopular, I was just normal I guess? My friend group was solid in jr. high and high school and it was fine. I know it’s all in my head, but to this day I still assume that confident people want nothing to do with me. It’s nonsense but I’m very timid and take a long time to make friends in real life. I fought a lot with my parents growing up. I went through a really dark phase where I rimmed my eyes in the blackest black eyeliner I could find and dressed like a goth/punk. It’s funny that makeup became one of the first ways I could rebel against my parents and I wound up writing a makeup blog years later! I went to University for Jazz Guitar. I started playing electric & acoustic guitar when I was 13 and I knew I wanted to pursue music. I’m still working on that to this day, but on the side of my day job (just like this blog!). In the program the first year was all performance based and then students branch out into specialties: Performance, Recording Arts & Composition. I went with Recording arts because I was interested in Live sound and recording music. I interned at a recording studio in Edmonton for about 6 months. After that I moved on to live production. I worked at an event production company during my spontaneous third year of Music school when I decided to double major and add on a year of Guitar Performance. I struggled with confidence when playing and quickly learned that I enjoyed being behind the sound board a lot more than being on stage! I’m married! I knew my husband existed when I was in high school (he was one of my older brother’s friends) but as a typical teenage girl I paid him no heed until we both ended up youth leaders at the same church. He asked me out for coffee when I was 18 and we’ve been together ever since. We’re coming up on four years in April! We have Two Furry Mischief Makers. We got Ion two and a half years ago when he was just a little kitten. He was very rambunctious and always wanted to hunt and bite our ankles. He had so much energy and we couldn’t keep up. Ion growls at other cats and acts all tough but he’s really a big softie! When we got Quantum as a kitten a year later he stopped chasing our ankles and played with Q instead. It turned out he just needed someone to play with. Quantum is a bit of a special kitty, he has a problem where he literally wants to chew anything fabric from shoes to sweaters to tea towels to hand towels… We can’t keep towels in the bathroom like normal people if we don’t want them to end up in his stomach. It’s frustrating but he’s also the biggest snuggle bug in the world! I started posting on my blog at the beginning of 2016 when I discovered subscription boxes from A Year Of Boxes. I became obsessed with the idea of monthly boxes full of beauty and lifestyle products and I had to try them for myself. Im 2016 I began posting my own subscription box reviews and my blog grew to include other beauty/lifestyle related content. Subscription Boxes are only a small portion of what I write about now! I’ve come a long way from my posts back then and learned a lot. You can see my blogging transformation in my Then Vs Now post I published last month! Through blogging I found out that I really did have a passion for makeup. I think it took me so long to discover it because growing up my parents were very against me wearing it. It’s hard to cultivate a love for something if you’re never quite allowed to explore it! It’s hard being a tiny person in an oversaturated market. A lot of you know already how frustrating it is trying to grow on instagram or build subscriber lists. It’s hard but I feel like this truly is a community and my day is always brighter interacting with all my blogging friends each day. Blogging is my happy place. Even if that sounds silly it really is! I feel excited about new releases, and I genuinely enjoy reading reviews, makeup tutorials and favourites posts. It’s a space where any negativity from my personal life doesn’t exist, and people are genuinely interested in the same things that I am. Thanks for reading! If you enjoyed this post please like & subscribe! What a great post!!! I loved reading everything! It’s weird knowing how many of these things I already knew about you, aha! I loved getting to know more lil bits about you though! What, Crazy! I didn’t realize that Millennials cut off at 1995, that explains the generational gap so much better. Thanks for reading! I also really loved the little sneek peek photos of you when you were in high school and at your wedding! SO cute!! I went digging through facebook for those, it’s always fun to look back! Nah, go for it! These coffee posts have been around for ages, I don’t know where they originally came from haha! Oh! I’ve only ever seen them on your blog lol! I loved reading this and getting to know more about you! Haha, it’s so funny how when you’re in your mid to late twenties, you *think* you can relate to young adults because you’re not THAT far off in age, but really they are in a completely different world. My husband and I totally thought we’re hip until we spent family dinner with his 20 year old cousin and his friends, and they’re talking about all of these memes and apps and stuff that we don’t even know about. That’s so awesome you went to school for Jazz Guitar, and that you’re working on that part of your career on the side. It would be awesome to hear you play! So glad you started blogging and diversifying from your subscription box posts! I love reading your blog! Haha right, I’m like oh no I’m turning into my parents! I hate all the music the new generation is listening too and don’t get their hobbies & fidget spinners 😂 I’m glad it’s not just me who feels this way! That would be amazing to produce your own music for your YouTube channel! How unique! I think the hype is dying down finally, but they were huge for a while there! I loved this post! This is such a great idea, I love getting to know bloggers and it was so nice learning things we could never have known otherwise. I only ever share extra bits about me when I do award posts and even then I barely write those anymore so I figured it was time to write a get to know me post.